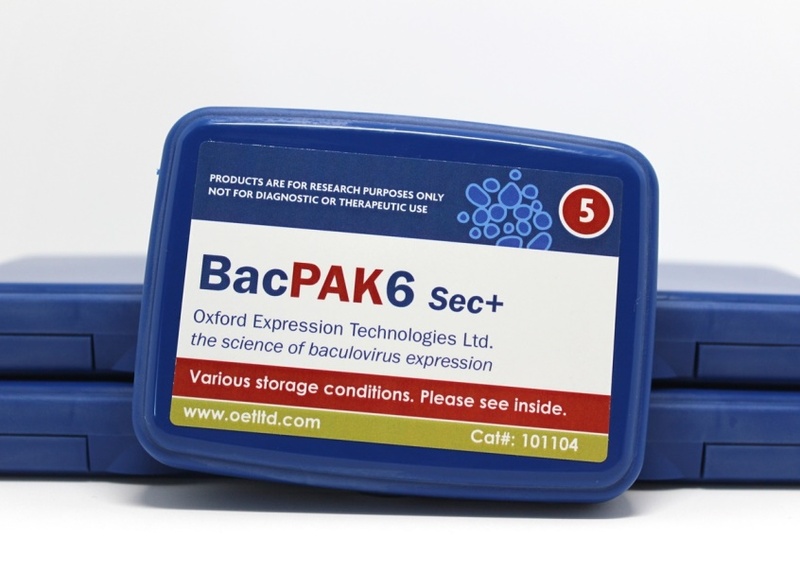 BacPAK6 linear baculovirus expression kit is the original, convenient, highly efficient reagent for generating recombinant viruses. It comprises a modified Autographa californica nucleopolyhedrovirus (AcMNPV) genome which has increased recombinant virus production by 90% when compared to standard baculovirus expression vectors. The insertion of a lacZ gene in the place of the native polyhedrin allows for easy blue/white selection from the parental virus. 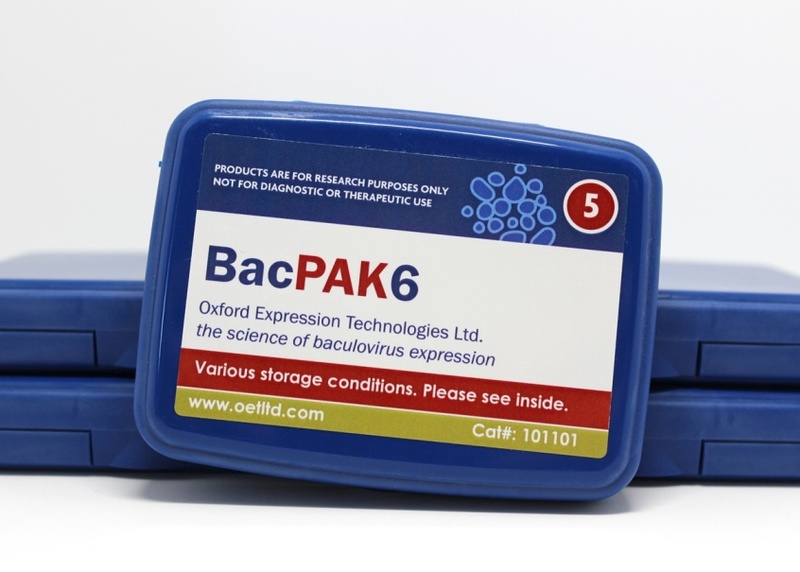 We are also pleased to offer BacPAK6 Sec+. This has all the advantages of BacPAK6 linear DNA but includes a genetic modification to delete the chitinase gene which significantly improves synthesis of secreted and membrane-targeted proteins.